Despite plentiful evidence that the current solution for the drugs issue is grossly expensive and ineffective, power brokers in the United Kingdom remain focused on other topics. Great Britain is in a period of great change, with Brexit shaking the long-established norms of social and political action and ushering in a new era of self-reliance, or at least that’s what you hear on TV. 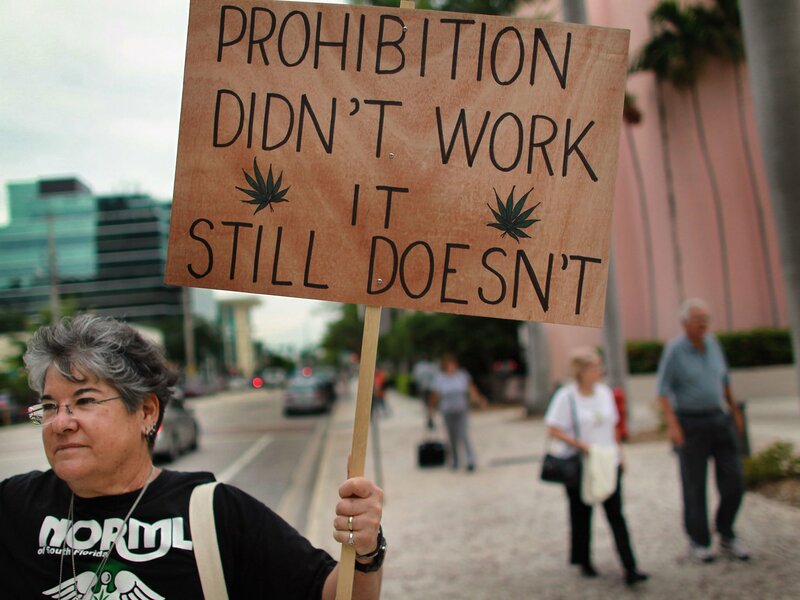 However, as conservatives and liberals keep trading barbs on numerous issues, they remain strangely harmonious when it comes to drugs legislation, vehemently opposing any attempt to modernize the largely outdated laws. Only Liberal Democrats support any kind of reform, but they lack the public exposure to push this issue into the spotlight. As a result, the airwaves are largely free of any talk about something that many Western countries are strongly considering – decriminalization of marijuana possession and adoption of a more health-centric approach to drugs in general. It is no surprise that the ruling Tory party remains firmly entrenched in the ‘War on Drugs’ mentality, since they were the ones to install the current system and maintain it even when it lost any practical value. They are campaigning on the platform built on so called ‘traditional family values’ and benefit from using drugs as the boogeyman that justifies high law enforcement spending and other quasi authoritarian measures. Expecting them to suddenly reverse course and admit they were wrong all those years would probably be too much, as it would probably cause uproar from their voters. In the end, Tories seem to have an electoral edge anyway, and they are highly unlikely to experiment with any novelties now. The situation is totally different in the camp of their main rivals. It’s quite obvious that Labour is currently in a bit of disarray, failing to challenge the government seriously even on issues where they have a clear advantage. Drug policy appears to be one of those missed chances, since the current chaotic situation is the legacy of Cameron and May, not Corbyn or any other Labourist. Curiously, the party never seriously thought about this line of attack, choosing instead to go along with the old ‘tough on drugs’ charade in an attempt to secure centrist vote. It is possible that the party is misreading the public opinion, since drugs decriminalization enjoys a lot of support among the younger voters that Labour desperately needs in order to actually unseat the present government. In the vacuum left by Labour’s inaction, LibDems have been left to carry the torch for drug-reform activists, and they have done it admirably within their possibilities. This party came out in support of the radical overhaul of the nation’s approach to the drug problem long ago, advocating for marijuana legalization and decriminalization of other substances as early as 2015. The only problem seems to be that nobody takes LibDems seriously as a threat to form a new government, and they lack the resources to make their message highly visible on the national level. However, clear and consistent platform of the Liberal Democratic Party has greatly contributed to educating the public about real pros and cons of a more lenient approach, preparing the grounds for some future debates. Meanwhile, far right doesn’t appear too interested in narcotics at this time, either. UKIP and similarly inclined political options are so preoccupied with immigrant bashing these days they hardly find the time to lament the dangers that children of Britain are exposed to from vile drug dealers. This could change rapidly if a bold new bill was proposed, so those forces shouldn’t be discounted from the calculations. If far right parties continue to grow in popularity, any hopes for modernization of the drug policies could be dashed for good. If a UKIP-led government ever became a reality, it wouldn’t take long for the social climate to turn very hostile towards drug users. This state of affairs would perhaps be understandable five years ago, but many countries that Britain is traditionally compared with are evolving their drug legislation in various ways. Canada is expected to completely legalize marijuana next year, while parts of the United States have already done the same thing. Even the European Union, which the Britain yearns to leave, has a more progressive attitude towards the problem and only partially shares UK’s rigidity in this regard. Countries like Portugal or Czech Republic have been experimenting with permissive laws with great success, and this model is likely to be replicated in other places. The War on Drugs had been lost long ago, and smart nations are looking to end their participation and move on to the next stage. Without clear leadership from one of the major political parties in the field of drug liberalization, it is difficult to expect Britain to join the growing trend. The country that prides itself on care about its citizens will continue to treat a large portion of them as criminals simply because they chose to alter their own state of mind, incurring financial damage in the process. The politicians seem content to throw around empty phrases, even as they are fully aware that most of their efforts to forcibly suppress drugs are failing to achieve anything tangible. Such rhetoric is hardly a worthy replacement for a well-thought and well-coordinated national policy, and in fact supports multiple false beliefs among the general population in the face of available proof, perpetuating ignorance and prejudice. In the next election, minds of the British people will be preoccupied with complicated international relations and the near-certain break-up with the rest of Europe. While those matters are very important, ignoring the everyday reality at home doesn’t seem like a great idea either. Millions of people who are at a disadvantage due to outdated regulations can’t wait for another electoral cycle before airing their grievances. Political parties need to provide an outlet for the minority views, not reinforce the decades-old stereotypes that are way past their expiration dates. However, barring a sudden awakening of some progressive voices in the opposition, this remains strictly a hypothetical. For the time being, Britain appears to be firmly stuck in the Prohibition Era, without showing any intentions to explore less restrictive models.